Here's what industry professionals are saying about GLDS. Adam McDonald, Belleville News Democrat – The Highland City Council on Monday approved a new landline phone service agreement between Highland Communication Services (HCS) and Momentum Telecom. 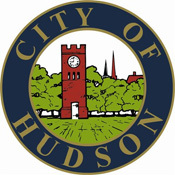 Laura Freeman, Hudson Hub-Times – Velocity Broadband, the city’s Internet utility, is moving faster than expected, and city officials asked for Council to approve two resolutions Oct. 6 to meet the increasing demand.